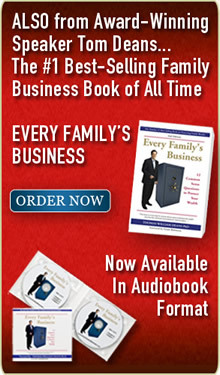 Ordering a copy of Every Family’s Business for yourself, your clients and their family has never been easier. Ordering is safe and secure and all prices include shipping and handling. 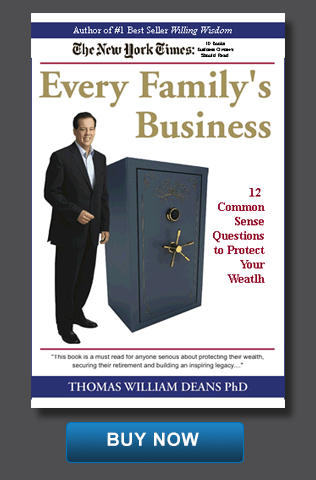 We offer a volume discount on orders of 10 or more copies. Refer to the table above. 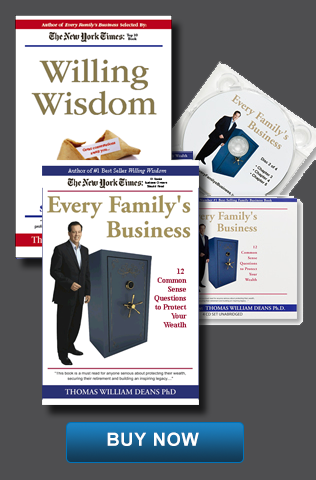 Order both the Willing Wisdom and Every Family's Business softcover books and the Every Family's Business audiobook at a fantastic rate of more than 20% OFF the regular price! 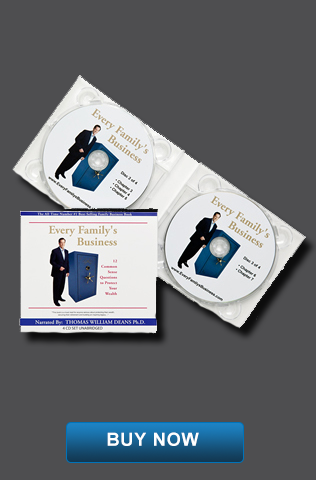 Order a Family Life Bundle for yourself, your clients, your family and your friends. 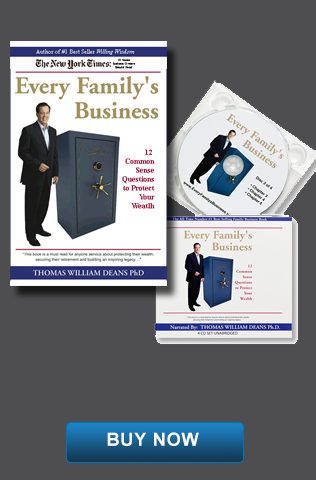 Free Shipping & Handling The Family Life Bundle includes: - Willing Wisdom Softcover book - Every Family's Business Softcover book - Every Family's Business 4 CD Audiobook (narrated by Tom Deans) Ordering the Family Life Bundle has never been easier. Ordering is safe and secure and all prices include shipping and handling. HST will be added to book(s) shipped to Canada. We offer a volume discount on orders of 10 or more copies, contact us for details. Note: All prices are in USD. 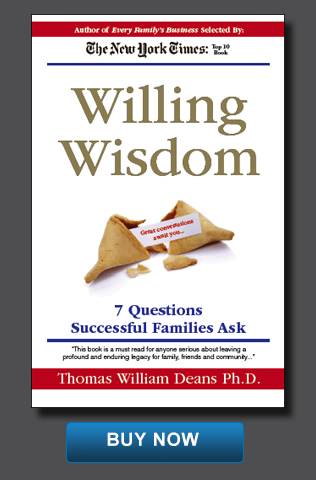 Writing a will can help you understand how to live an extraordinary and purposeful life.